By Yorkshire what is meant is Yorkshire as it was before it was �reorganised� in 1974. So places now in Cleveland such as Redcar and Middlesbrough are included here. 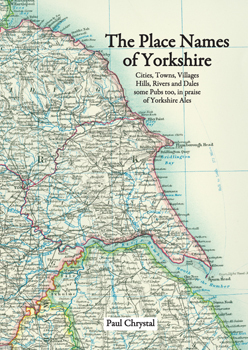 Paul Chrystal's book shows his knowledge of the cumulative impact on place names of previous occupants of Yorkshire: the Celts, Romans, the Angles, the Vikings and the Normans. As a result not only does he give the meanings of place names but also the etymology and quite a lot of history and if there's an interesting anecdote that is here too. This is a serious work of reference but is also fun to dip into and if you get fed up you can just go on the pub crawl at the end of the book.